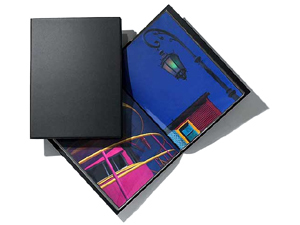 Presentation Book for 11x14 photos features an elegant black padded cover with permanently sealed crystal clear pages for easy page turning. This PRAT SP Presentation Book features an elegant black padded cover with permanently sealed crystal clear pages for easy opening and page turning. PRAT Presentation Books are suitable for the presentation and storage of photographs, digital prints, documents and artwork.